The Master of the Game says, "Wassup, baby bobba?" I’m in study mode this week for a certification test next week, so no long posts this week. Still, I have to give myself a little shout-out for FINALLY getting my much-delayed George Duke interview published. It’s now available at Allaboutjazz.com and you can read it in its entirety there. 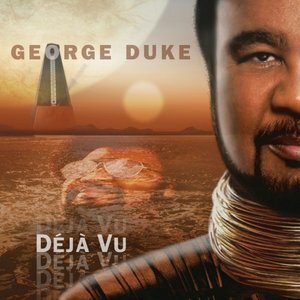 Also up on the site is my review of Duke’s latest album, Deja Vu. Check it out. I could use the page hits. All About Jazz: When you were wearing your producer’s hat you still tapped into your jazz background. Nobody had heard a song like ‘Sukiyaki” with a Japanese instrument like the koto in it. George Duke: I had worked with a group called Hiroshima and I knew June Kuramoto, who is an extraordinary koto player and could play in a pop concept. I asked her to come in and do something on the song, but it was Janice Johnson, the band’s bass player that brought the song to me. I was like, “Man, what am I going to do with ‘Sukiyaki’?’ I thought she was crazy, but I said it that’s what she wants to do, I’ll do it. We did the song and had Claire Fisher do the string arrangement and brought June in to give it a Japanese flavor. We added a R ‘n’ B section and that was it. It was a simple tune I never thought would become a hit. To this day I can’t believe it was as big a record as it was. AAJ: Does having the kind of success as a producer of big hits like ‘Sukiyaki” and “Let’s Hear It For the Boy” begin to pull you away from your solo career? GD: It did turn into that. The offers came in and it was very tough to turn down. During the Eighties and Nineties I would go out in the summer to something like the Montreux Festival with a band I’d put together. Otherwise, I was in the studio producing records until the bottom fell out of the industry. Those were my golden years in terms of producing because the money was there and artists were willing to try something with a “jazz artist” like me. It was tough though for the record labels to accept black artists could sell those kind of numbers of records. With Jeffrey Osbourne and “Stay With Me” and “On the Wings of Love” or even “Sukiyaki” Janice had to force Capitol to put that record out as a single. When Stanley Clarke and I made “Sweet Baby” we believed in it but we had to get behind with our own money. We had to hire an independent publicist to support that record but once it started selling only then did Epic Records put their full weight behind it. The pop music department said, “You guys are jazz artists.” The R ‘n’ B department said, “Nothing we can do with this.” The jazz department said, “It’s not a jazz record.” We had no choice but to step outside the system. AAJ: I’ve read books about the recording industry and I always thought record labels were full of people who were bold thinkers trying to find and promote new and exciting music, but apparently I was wrong and there’s a lot of guys who stand in the way of creativity. GD: I think some of the best visionaries of that time were the ones that stayed out of the way and let the artists do what they do, especially if they weren’t drugged out or crazy. That’s changed now. A lot of it is done by committee with the A&R department saying, “You’ll record this song and work with that producer” and that kind of stuff. All the records I did with Jeffrey, Denice or Barry Manilow, I dealt directly with the artist. My relationship with the record company was strictly a legal and business one, not creative. I was the voice between the label and the artist and I translated back and forth. We’d keep them abreast of what was going on, but they weren’t telling us what to do. AAJ: You seem to have mastered both the artistic and the business aspect of the musical industry. How did you learn to handle matters not just in the recording studio but in the suites of record companies as well? GD: I guess I was blessed. There’s nobody that was teaching me this. To a degree it was working with Frank Zappa that had an influence on me. Watching him and how he seemed to control his own destiny influenced me quite a bit. He was the only musician I met that was that self-contained. Zappa knew as much as the engineer about the recording studio, had the business aspect together and he had to be able to play the crazy music he made. It was always interesting to me to play that kind of stuff that wasn’t on the radio except from midnight to 5:00 a.m. on some obscure station. He had this huge audience and we could sell out places most pop artists couldn’t. It takes some chutzpah to do this because I know I’m giving up money. But something told me to hold onto my rights and that extends into recording where I have my own label and control my own product. Read the complete interview at All About Jazz.com.